Bringing haunted houses to a new level of immersion by allowing spectators to scare the participants! 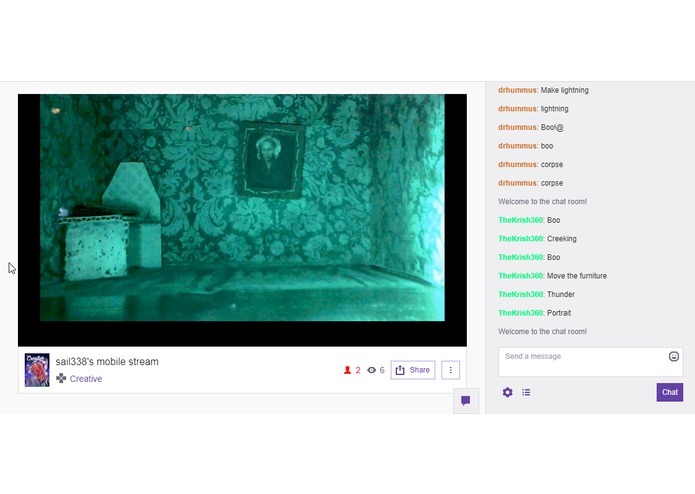 A Twitch streamer showcases his journey through a haunted room. 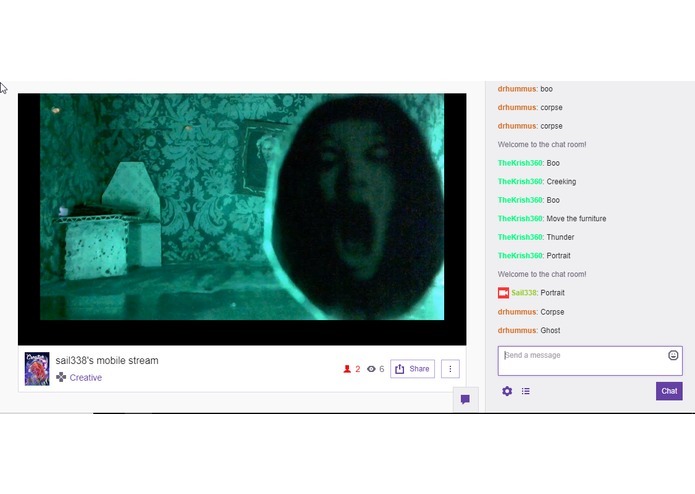 Viewers of the stream are the ones who decide how, when, and where to scare the streamer. The Twitch streamer navigates the room and the viewers orchestrate the scares! The project was built in python for the backend, and the microcontroller code was written in C++. 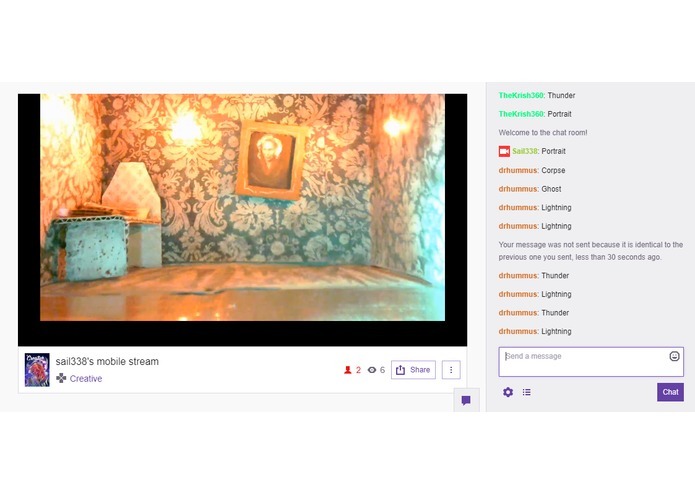 We used the Twitch API to get responses from our stream, and sent the responses to our IBM-Watson workspace to get their intent. The intents were then polled through and an action was decided. 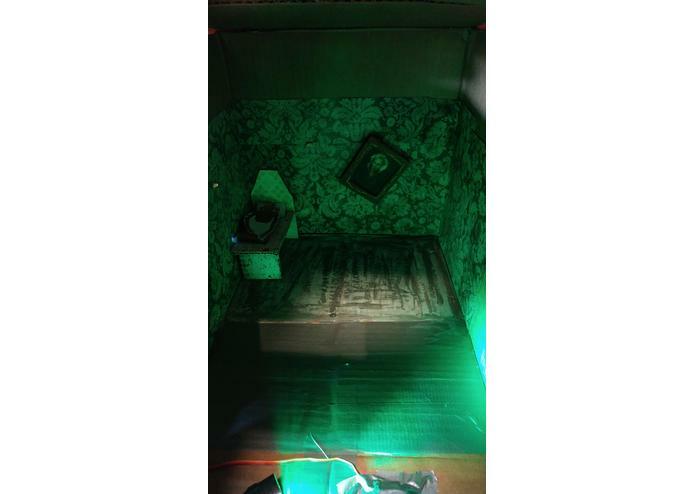 The hardware itself was built mostly out of cardboard and servo motors, with the haunted house being streamed through a webcam. The biggest challenge was integrating the components into the system. We had numerous different components such as Python scripts leveraging the Twitch API. These components would interact with Arduino components as well as Amazon Alexa. Bringing all these units to work together was just as challenging as it was rewarding in the end. The second biggest challenge we’ve encountered is simulating a haunted house. Obviously, we can’t make a live-scale version. We decided to scale down and utilize a cardboard as our haunted room. The scare tactics, the design of the room, and the aesthetics were all very important to us; thus, it was our second biggest challenge. We are extremely proud of the end product! We wanted to immerse the Twitch community, and show them something that they may never have seen before! As mentioned earlier, we are simply proud of being able to bring all the components together and bring our somewhat ambiguous vision at the beginning, to a reality at the end. The grandest lesson from this hack was to think outside of the box (pun intended!). We initially weren’t sure which direction we wanted to head with the project, but we knew we wanted to use Twitch API. We were agile, adding features all throughout the day and always in search of unique ways to immerse Twitch viewers. Our greatest strength was our creativity! Passionate tech enthusiast and software engineering student looking for great new opportunities!